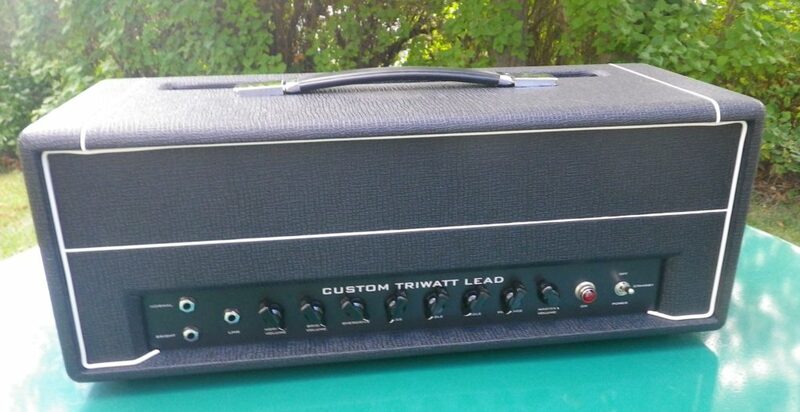 Our TRIWATT style cabinets are built and finished to closely resemble the Vintage HIWATT product line. With Black HIWATT Tolex, and white bead, piping, along with chrome handles and grill accents, you are assured to have the look and feel of the real thing! These are perfect for the builder who wants to build their own amp but finish it off with a professional looking cabinet. Just let your imagination run wild! When customers inquire about Trinity custom cabinets, they may ask for special Tolex colors, textures, metal corners, special piping, grill cloth, handles etc. We are able to accommodate most requests. Just click Inquire. Finger joints on Combo and Speaker for extremely strong construction.